The wars of the present century will be driven not by weapons, but by technologies directed at the consciousness of peoples. 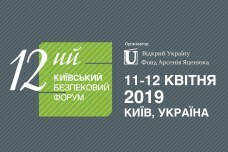 This conviction was expressed by writer, philosopher, the 2019 Shevchenko Prize winner Oksana Zabuzhko, concluding the 12th Kyiv Security Forum organized by the Arseniy Yatsenyuk Open Ukraine Foundation. "The wars of the 21st century are no longer a bombing of cities, as it was in the 20th century, but a bombing of the brains. Modern information technologies allow new invaders and new dictators significantly cheaper and with resources savings to conquer, edge on and subjugate countries, and transform democracies into simulators by the method of yielding their meaning," the writer noted. At the same time, she noted that comparing the existing aggressors with the previous ones would be inappropriate. "Therefore, I am wary of traditional Western condolences to Putin, they say, he is not as terrible as Hitler and Stalin. Hitler had no television, Hitler had no Internet. 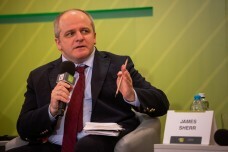 Today's technologies allow us to achieve the desired results," Zabuzhko said. In her opinion, the most revealing weapon of mass destruction of the 21st century will not be an atomic bomb, "which is traditionally frightened the world, but industrial and, at present, still inadequate technologies for bringing the entire countries to mass madness and mass suicide." "It sounds like fantasy, but it all starts with a fantasy that becomes reality," the writer said. 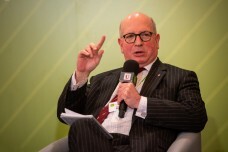 Zabuzhko stressed that after the first round of the presidential elections, the Ukrainian and international expert community had not realized yet that it was faced a new challenge. "For the first time in history, as a result of democratic elections, one of the candidates which is absolutely virtual came out for the second round. There is a state of a temporary eclipse when the majority is not able to make an adequate decision for the sake of its own safety. 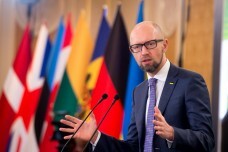 Against Ukraine one of the tools of the hybrid war has been re-applied," she said. 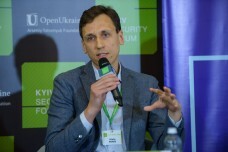 The writer stressed that the challenge Ukraine faced is a challenge for the whole world. "On April 21st, Ukraine will have a test on the feeling of reality. If we fail this test, then for all the old and new democracies and potential dictatorships, this means that the door for new Waldo Teddy Bears with unknown scriptwriters and directors will be wide open. If we pass this test, it will mean that the humanity of the 21st century has a chance to preserve its culture and civilization," Mrs. Zabuzhko concluded.